Among various insights, the authors noted how the city’s daily newspapers (it used to have four) had never survived as well as those further north, with Manchester and Scotland given as examples. The phrase “too close to London” was what the authors used back in 1974, and the latest circulation figures released last month show how that proximity makes an even starker difference in 2018 for the dailies reporting their sales. As you can see, more than 90pc (21 out of 23 titles) selling more copies than Birmingham are in the north, while 55pc (17 out of 31 titles) selling fewer are in the south. Although 55pc doesn’t sound as convincing as 90pc, several titles from the north selling fewer than Birmingham are either minnows (Carlisle, Barrow and Paisley) or the smaller of two or three daily titles from the same place (Belfast, Dundee, Leeds and Norwich). Therefore, leaving those seven titles aside, more than 70pc (17 out of 24 titles) selling fewer than Birmingham are in the south. The above snapshot only proves a simple north-south divide that’s been the case for decades, you might argue, but what’s interesting is the sliding scale of northern media strength. Yes, every title’s dropping sales, but those in the north are generally declining at a lesser rate, which means smaller centres are slowly climbing the league table in terms of survival. The Stoke Sentinel, the Hull Daily Mail, the Shropshire Star, the Leicester Mercury and the Newcastle Chronicle – to name just five – were only ten years ago selling fewer than the Birmingham Mail, while they now sell at least 5,000 more every day. Even smaller centres have recently crept above Birmingham, such as the Derby Telegraph and the Teesside Gazette, with the result that Britain’s second city is now only 24th in terms of newspaper sales. Forgive me for using Birmingham as an arbitrary line: the fact I used to work there and my memories from a history book are both to blame. And there are – of course – many reasons for all titles’ declines: from demography to ownership styles, and from print competition to soaring online growth, (see my blog from June 2015 where the Birmingham Mail’s own case is analysed in more detail). But as far as geography goes, one factor mentioned 44 years ago appears even more prominent today: the further north from London a title is, the better its sales in comparison to ‘southern’ papers. Is there anything that can be done about this sliding scale? Probably not, other than making coverage as distinctly local and detailed as possible, as readers remain entranced by their own back yards and dislike the bland content that results from too much copy sharing. 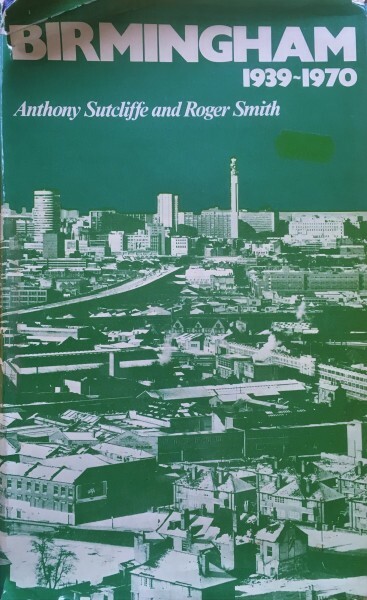 *Birmingham 1939-1970, co-authored by Anthony Sutcliffe and Roger Smith, Oxford University Press, 1974. The pitifully low sales of the papers from 40 downwards (Argus Brighton 10, 212 to Paisley Daily Express 4,378) hardly qualify them for regional status. Indeed many of them make only a token gesture of covering a region and are centred mostly on one town. Some of these were once mighty regionals. I hardly think the ones 1-39 can be said to satisfactorily cover their locations,particularly the twoin my area of east Anglia where the woeful EDP now sells 26,700 copies in regional footprint of almost a million people and where the EADT similarly reaches so few as to be more akin to a small weekly title. I guess it’s all just a measure of bad, very bad and inconsequential showing just how insignificant majority of titles from the larger regional publishers have become and proving the future of regional publishing lies with the smaller community papers springing up and thriving all over. Less transient populations the further north you move – therefore retaining more of an interest in local affairs? Of course, this should help titles such as the EDP, as there’s a fairly static population apart from the property hot-spots of the north Norfolk coast and NR2, but in a lot of cases certain newspaper companies seriously believe that they will always be here and retain the affection of the local area. Woolworths, anyone?